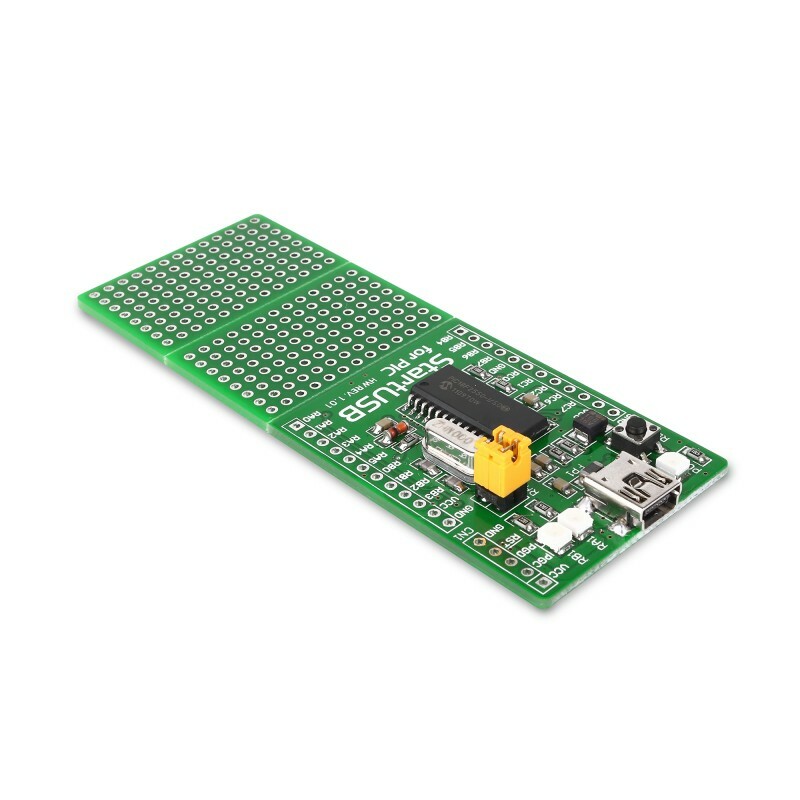 StartUSB for PIC Board is a small development board featuring Microchip® PIC18F2550 device with fast USB 2.0 support. It features connection pads for all MCU pins, as well as two prototyping areas for placing additional devices. With StartUSB for PIC Board you can build lots of USB devices, and have fun along the way. 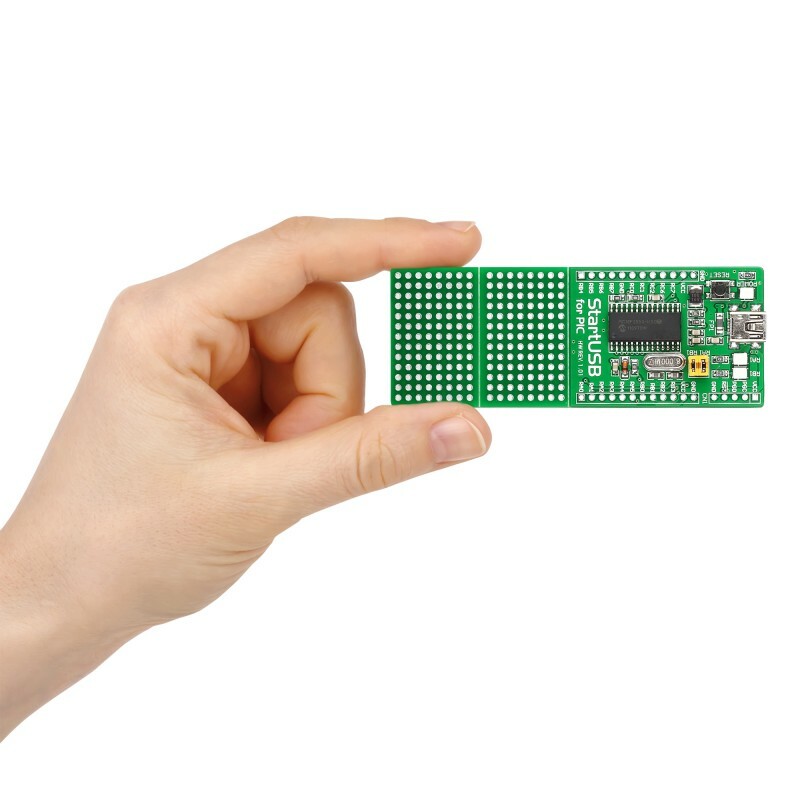 Build your home-made USB flash stick, USB datalogger, or even USB MP3 player. Just place your additional components on the protyping areas, and it easily becomes a complete device. It can be used as a final product, as a standalone device. Board features PIC18F2550 device with USB 2.0 support. 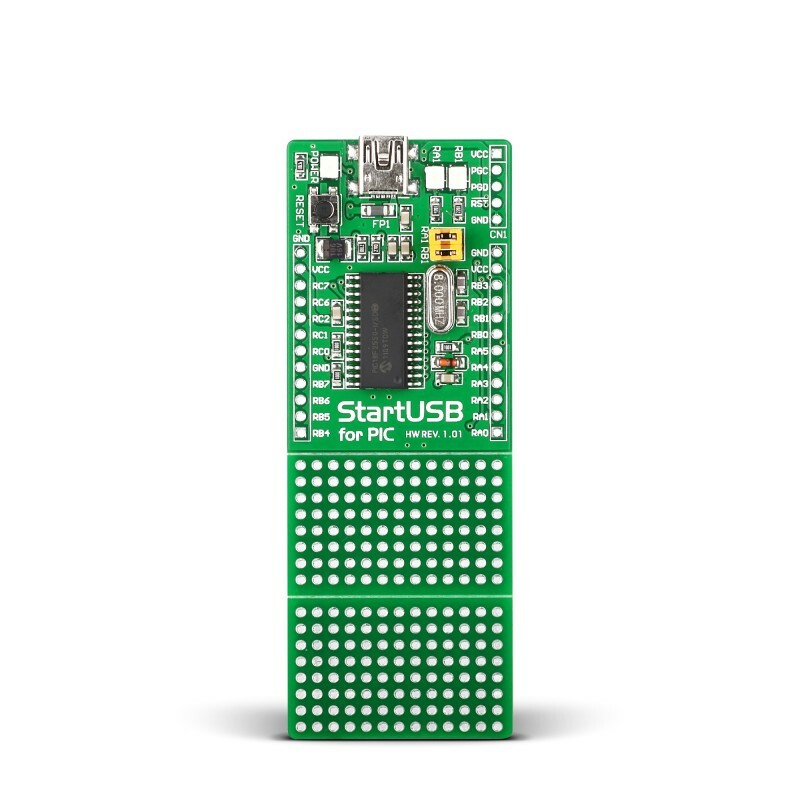 On-board miniUSB connector, oscillator and reset circut, as well as power indicator LED provide all you need for quick start. All MCU pins are availabe through connection pads. Programming. 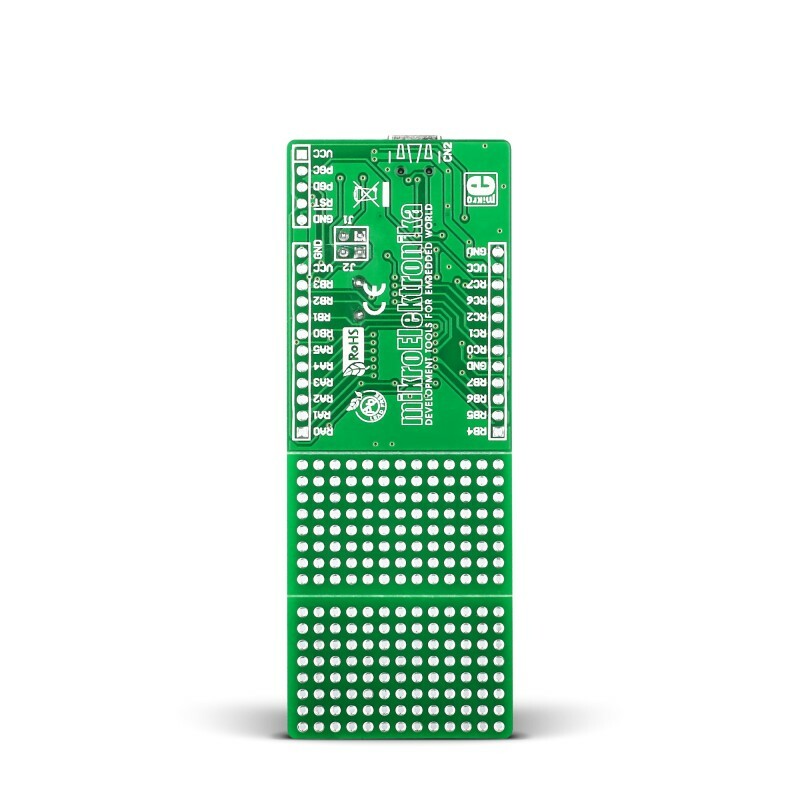 Board comes preprogrammed with fast USB HID bootloader which eliminates the need for external programmers. Unless you need to use In-Circuit debugger, this is the best solution for fast and easy downloading of your new .HEX into the MCU. For more information on how to use the mikroBootloader application, please consult How To Use Booloader manual. You can also program/debug your code using mikroProg for PIC, dsPIC and PIC32 via on-board connector. Programming Preprogrammed with USB HID Bootloader. Also features mikroProg for PIC, dsPIC and PIC32 connector. Key Benefits Two additional prototyping areas can be used to place additional components making the board a fully functional final device.